I’d say I’m an honest guy. I always strive to tell the truth—or at least as much of it as I can uncover—to all of my readers. However, I can’t seem to say the same thing about some mainstream nutrition companies. Take, for instance, one of the biggest nutrition fibs that has ever been told in the health industry: that low-density lipoprotein (LDL) cholesterol—dubbed “bad” cholesterol—can increase your risk of heart disease. In truth, cholesterol is not the problem when it comes to raising our risk of heart disease. The real issue is calcium buildup in the coronary arteries due to inflammation on a systemic level. In turn, sometimes cholesterol will damage the circulatory system—but there is a much larger root cause of the problem. That first myth has led to another big whopper: That you absolutely need statin drugs in the treatment of high cholesterol. That couldn’t be further from the truth. In fairness, if you are currently on cholesterol-lowering drugs, I don’t recommend stopping them—but keep in mind there are natural methods that can treat high cholesterol in combination with the statins. I recently came across research from a doctor named Jeffrey Dach. He cited countless studies that suggest the root cause of high cholesterol and heart disease can be treated with a particular herb that some people dislike because of the belief it will give them bad breath. You might have guessed it: I’m referring to garlic. But, I’m not talking about garlic cloves. You actually won’t get a bad taste in your mouth with aged-garlic extract. It has been studied extensively and proven to reduce the coronary buildup of calcium stores, and in some cases even eliminate them all together. For example, one study I came across in the Journal of Cardiovascular Research found that calcium scores progressed slower for patients who took a combination of aged garlic and coenzyme Q10 (CoQ10) compared to patients who took statins and a placebo. Several studies have found that statins had zero effect on calcium buildup. Let’s take a further look at CoQ10. Did you know that statins are known to lead to CoQ10 deficiency? On the other hand, research suggests that CoQ10 can decrease the negative side effects associated with statins, including high blood sugar, type 2 diabetes, mental confusion, and memory loss. Be sure to look for the CoQ10 that says ubiquinol on the bottle—it’s a more effective, active antioxidant form of CoQ10. Vitamin C is also a powerful antioxidant that has been found to lower inflammation and total cholesterol levels, while increasing HDL. Over time, your doctor will likely lower your statin dose, and eventually, your cholesterol levels may reach normal levels. Your doctor will think it’s solely due to the statins. Meanwhile, you’ll know the truth. Ware, W.R., “The mainstream hypothesis that LDL cholesterol drives atherosclerosis may have been falsified by non-invasive imaging of coronary artery plaque burden and progression,” Jeffrey Dach, M.D. web site, May 24, 2009; http://jeffreydachmd.com/wp-content/uploads/2015/06/cholesterol-atherosclerosis-falsified-coronary-artery-plaque-Ware-Medical-Hypotheses-2009.pdf. Zeb, I., et al., “Aged garlic extract and coenzyme Q10 have favorable effect on inflammatory markers and coronary atherosclerosis progression: A randomized clinical trial,” Journal of Cardiovascular Disease Research July to September 2012; 3(3): 185–190, doi: 10.4103/0975-3583-98883. Housalay, E.S., et al., “Progressive coronary calcification despite intensive lipid-lowering treatment: a randomized controlled trial,” Heart September 2006; 92(9): 1207–1212. Benson, J., “Prevent artery hardening and calcium buildup with aged garlic,” Natural News web site, June 17, 2015; http://www.naturalnews.com/050482_aged_garlic_calcium_buildup_atherosclerosis.html. 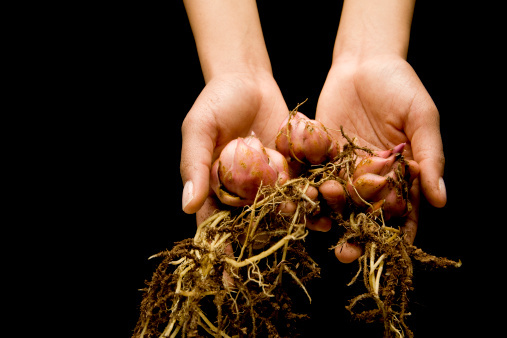 “Coronary Calcium Score Benefits of Aged Garlic,” Jeffrey Dach, M.D. web site, June 12, 2015; http://jeffreydachmd.com/2015/06/coronary-calcium-score-benefits-of-aged-garlic/.